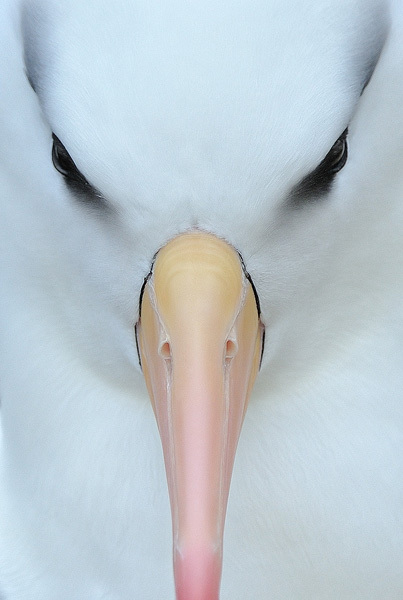 Closeup shot of a black-browed albatross (Thalassarche melanophrys). It can have a natural lifespan of over 70 years. Colonies are very noisy as the bray to mark their territory, and also cackle harshly. This image was shot on the Falklands.